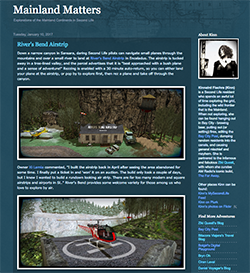 How do we touch one another in Second Life or other virtual worlds? "No matter how immersed in virtual space we may be, we still are corporeal beings, and we still long for haptic experiences," remarks Vaneeesa Blaylock. 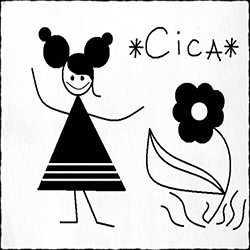 ("Haptic" meaning, if you're not familiar with term, something that relates to the sense of touch, something tactile.) As part of her installation at LEA11, Alice in Cornelland, she has been experimenting with ways in which we might bring that haptic experience into a virtual world. While this may prove physically impossible, the notion is an interesting one, and she points to Joseph Cornell's boxes as points of inspiration. 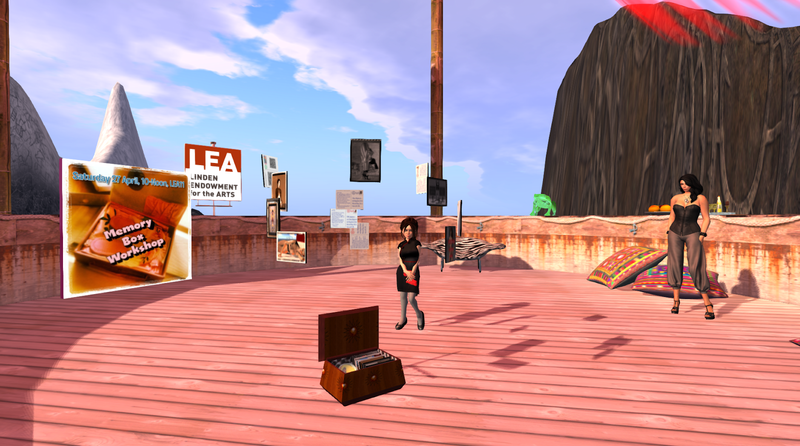 Today, Saturday, April 27 at 10:00 a.m. SLT, she'll host a Memory Box Workshop at LEA11. It's a little hard to see in the image above, but Vaneeesa (or Alice Liddell as her name is currently displayed) is standing next to a memory box, with its objects floating and rotating overhead. Teleport here to get to the Memory Box Workshop. "You might like to bring images or text of moments, experiences, or persons from your life journey. 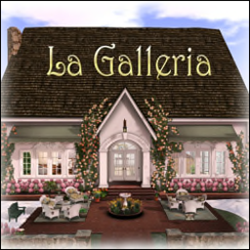 LEA11 will provide prims and a lite lunch," says Vaneeesa.